We talk a lot of about the importance of flossing, and it’s well worth it. Most gum disease develops between teeth, which makes flossing a crucial part of your hygiene routine. At my dental office in Lewisburg, we’d like to talk about the two most common forms of flossing: floss picks and regular dental floss. Floss picks are those individual pieces of plastic that have a small piece of floss in between two posts. They’re sometimes preferred over traditional floss for a variety of reasons, but are they as effective? Let’s look at some pros and cons. Easier to Use. Floss picks may make it easier to floss, especially if you have difficulty using your hands or fingers. Reaching into the back of the mouth may also be easier with a floss pick. Not So Easy. On the other hand, some people find floss picks more difficult to use. If your teeth are tighter together, floss picks may not be the ideal choice and can actually be harder to use. Effective. There is evidence that suggests floss picks are effective at removing food particles and dangerous plaque between teeth. But are they as effective as traditional floss? As Effective? 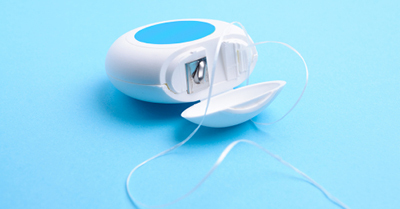 Some research shows that floss picks are just as effective as traditional floss. Other studies suggest floss picks are less effective due to their shape. Since floss picks are pretty stable, some believe this limits their ability to properly clean below the gum line and around each tooth. Need More Than One Most of the time, to get the best clean from a floss pick, you’ll need more than one pick as opposed regular floss where you only need one piece. This may require a larger investment. Regular floss has been used for quite some time to remove dangerous bacteria from between teeth. While it’s been proven to clean effectively and help lower risk for gum disease, there are some people who can’t seem to get comfortable with this traditional form of flossing. If this is the case, using a floss pick is completely acceptable. If you’re ok with regular floss, keep on flossing! Flossing goes a long way toward keeping your gums healthy and gum disease away, but it’s only part of having a healthy mouth. Regular appointments at my Lewisburg dental office are also key to keeping your smile healthy, so make sure to visit us at least twice a year. Welcoming patients from Lewisburg, Selinsgrove, and Williamsport. Whether it’s for fun, exercise, or relaxation, there’s nothing better than a cool dip in a swimming pool to ease the summer heat. But everyone at my dental office in Lewisburg knows about a smile-damaging secret that could be lurking in your favorite pool, and we’d like to share it with you. Swimming Pools Hurt Teeth? Really? 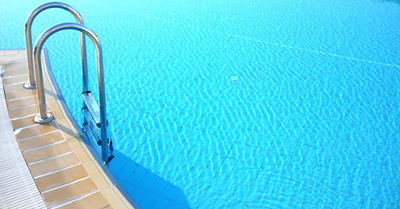 Yes, really, swimming pools can cause tooth damage which may lead to extensive dental problems. The link between pool water and teeth isn’t a new discovery. Back in the 80s, researchers conducted a study examining competitive swimmers and oral health. Turns out, almost 40% of those studied had some degree of enamel erosion. The more it was researched, the more conclusive the results: swimming pools may cause tooth damage. Pool water should have a very specific pH level — typically between 7.2 and 7.8. If the pH drops too low, it becomes acidic. Acidic water can have effects on the whole body including burning eyes, skin irritation, and enamel erosion. There are two main signs you may be suffering from pool-induced tooth problems. First, new sensitivity could be an indicator of eroding enamel. Once enamel erodes, tooth roots are left exposed to heat and cold, which can be quite painful. Second is brown spotting on the teeth. This is called swimmer’s calculus, and it’s nearly impossible to remove at home. If you’re noticing signs of a dental problem, call your Lewisburg dentist as soon as possible. Acidic Water and Tooth Enamel. Those who spend more time in the pool are more susceptible to enamel erosion. Enamel is the hard, outermost surface of teeth that protects them against bacteria and keeps the inner roots safe. If compromised, teeth are more likely to have decay, cavities, and additional oral health problems. Simply testing pool water before spending extended time in it can go a long way toward ensuring a healthy smile. Purchase some inexpensive pH testing strips and measure the pH prior to diving in. Additionally, keeping up with regular appointments at my Lewisburg dental office is the ultimate prevention. Often times, early detection means a faster treatment, which allows you to get back to health and back to enjoying summer. Accepting patients from Lewisburg, Selinsgrove, and Williamsport.